The next time you get burnt red from being outside too long spare a thought for how powerful that ball of energy is that dominates the daytime sky. The Sun warms our planet every day, produces poem worthy sunsets and as much energy as 1 trillion megaton bombs every second! Wow, that’s raw untapped power! The Sun is a star, just like the other stars we see at nigh. It’s going through an intense period of heavy activity. In recent months astronomers saw sunspots, cool areas on the Sun, up to 10 times bigger than the Earth. Solar flares were seen shooting away up to 100,000 kilometres in length. And, there’s more on the way! Here’s something for trivia buffs. The American flag planted on the Moon by Neil Armstrong and Buzz Aldrin no longer has any colour in it? It’s bleached snow white by the Sun. True! The flags taken to the moon weren’t all that strong. A New Jersey company made the nylon flags for $5.50 a piece back in 1969. They are the cheapest part of the space program. For forty odd years, the moon flags have been exposed to the full fury of the Sun’s power, but even more damaging is the intense ultraviolet radiation from the pure unfiltered sunlight on the cloth.. Such is the power of our closest star. Even so, if returned home, that flag would still be classed as priceless! Do you fly a lot? If so you’ve experienced ‘Solar Weather.’ During a seven hour flight aircraft occupants receive about the same dose of solar radiation as a chest X-ray, and on a twelve hour flight, about double that. A long distance frequent flyer gets the equivalent of about 20 chest x-rays. Slap on some more sunscreen, quick! How much radiation do pilots, flight attendants and passengers receive per flight? 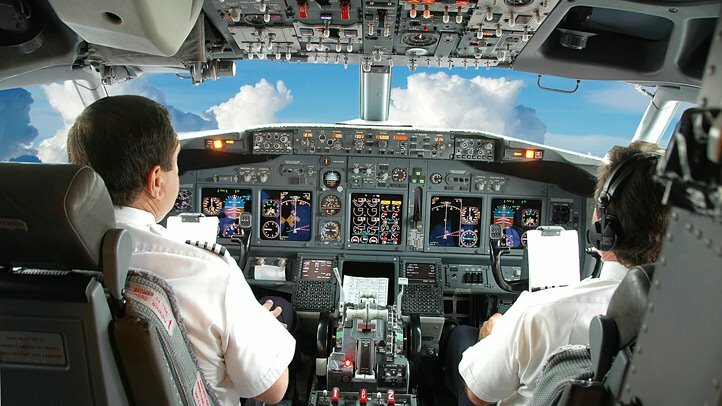 Airline pilots absorb approximately as much radiation over the course of a year as a nuclear power plant employee. True! Hey, don’t worry though. You’re quite OK walking around on planet Earth, we’re protected by our atmosphere and magnetic field. But you’ll still need to slip, slop and slap on our beaches OK.
Want more trivia? Right now, you and everyone on planet earth are spinning at 1,675 kilometres per hour. This means that at this very moment, you’re moving at something like 465 meters per second. There, now go get an aspirin, I’ll wait.